With its organic gardens and peaceful riverside location, YMH Phakding Lodge is a perfect green haven for weary trekkers. Get to: 1 days’ walk. Phakding lodge offers the perfect opportunity to reflect on your travels. 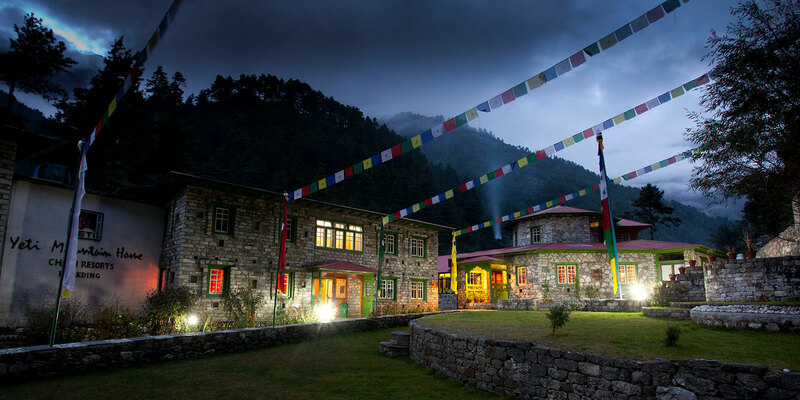 Whether you have come from Namche, Kongde or Phakding you will find here the perfect place to wind down. At Phakding Lodge, bedrooms are finished with a combination of traditional Khumbu and modern style with natural wood featuring extensively, for a warm cozy and relaxing feel. Each room has been designed with your total comfort in mind. Decorated with fresh flowers, our dining room can arrange sitting for 40 people. Our guests can enjoy the cozy warmth of our sealed chimney in the dining room while enjoying mouth-watering meals along with the spectacular view of the mountains!